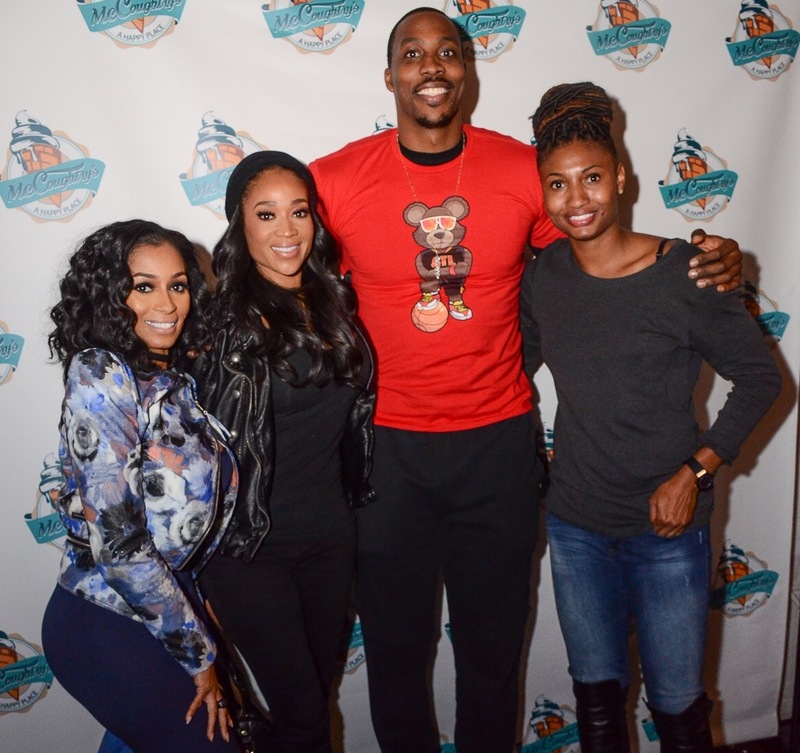 Atlanta, GA. 22 November 2016 – Last night WNBA star and two-time Olympic gold medalist, Angel McCoughtry, introduced Atlanta to her first venture as an entrepreneur, McCoughtry’s ice cream, with a VIP tasting event. Held at a private downtown Atlanta location, food bloggers, critics, celebrities and tastemakers gathered to enjoy an evening of music by DJ Reese, complimentary cocktails by Martell Cognac Blue Swift, dynamic photo booth by Insta Printz and of course sweet treats presented by McCoughtry’s Ice Cream and Whimsicle. Head baker for McCoughtry’s, Candace Aaron of Sweets N Treats, kicked off the tasting with a brief intro to each item being tasted as well as an overview of what to expect January 2016 for McCoughtry’s grand opening. Guests indulged in the limitless samples of dessert duos including some fan-favs such as the sweet potato waffle with butter pecan ice cream drizzled with maple syrup and the red velvet cupcake with strawberry cream cheese ice cream drizzled with chocolate syrup. Because McCoughtry’s values their customer opinions they provided each guest with a survey card where they could share their favorites, what they would add/remove and more. “I’m so grateful for how great the tasting event turned out and the support I received from Atlanta as I am introduced to the entrepreneur world. Everyone personally let me know our flavors are delicious, so now I’m super excited to open our doors this winter and be one of Atlanta’s go-to dessert destinations,” Angel McCoughtry states. Guests ended the night receiving a gift bag with a McCoughtry’s t-shirt, apron and custom ice cream scooper. With the reactions that were received last night, it’s safe to say McCoughtry’s is set to be a major hit in Atlanta!